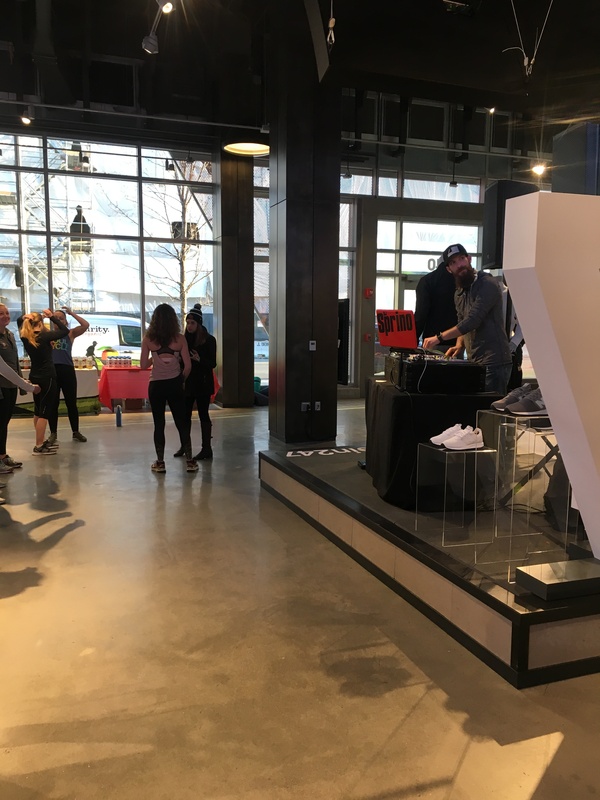 I am still feeling all the feels after the event/class I lead at the New Balance Global Flagship store in Brighton through my connection with MoveWith. If you remember, I wrote all about my first MoveWith experience here. Since then, I’ve taught two more, including the one last week. Going into this event, I knew I wanted it to be just that: an event. Not just a workout, but rather an event where I could offer more than just a sweaty 45 minute session. 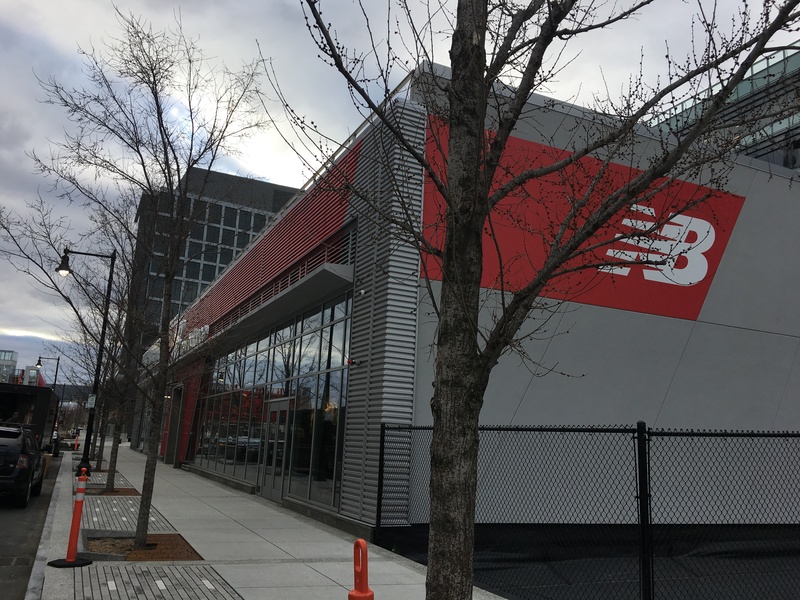 When I spoke with the manager at the beautiful new New Balance Global Flagship store in Brighton, I knew that I would be able to achieve my “event” idea if I hosted the class there. It’s a big store so there would plenty of room for a big crowd, a DJ and product samples. I was hoping for 25-30 people, so I was totally blown away with the fact that 39 (!!!) signed up. As the day got closer, I had a mix of of nerves and excitement because everything was really coming together. But, as soon as people started showing up, my nerves went away and all I felt was excitement. The fact that so many people showed up was so amazing. Some people I knew, but many I didn’t. Some people were friends from college, friends of friends, friends from the gym, friends from my office and friends/contacts I’ve made through blogging, and many from New Balance. But, what was so amazing was that everyone showed up smiling and ready to work. I couldn’t help but smile because of this- heck, even as we were halfway through the kickboxing aspect, people were STILL smiling! 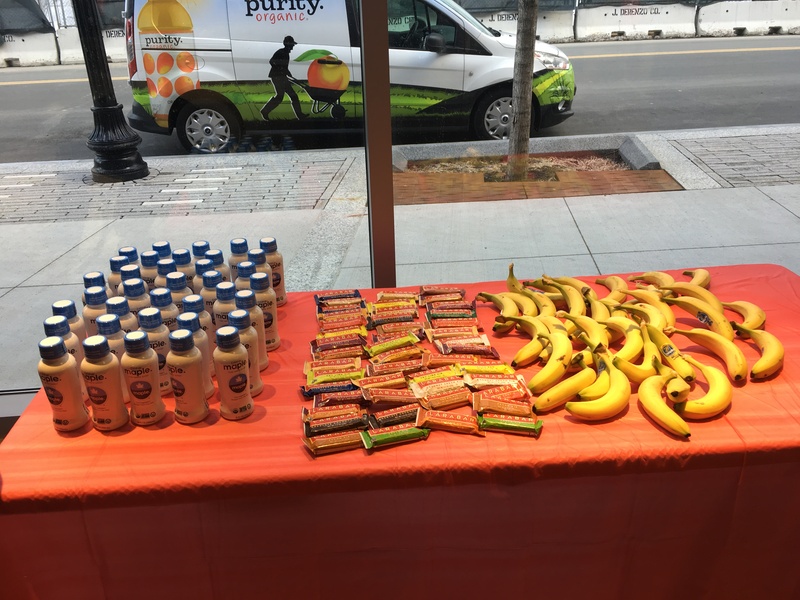 I’ve said it before and I’ll say it again- the fitness community in and around Boston is really wonderful. So many people make fitness a priority in their day to day and this shows by how many people an event like what I did last week can bring to it. These people- ranging in age, fitness levels, gender, likes and dislikes- all came together for a 45 minute fitness class, many of them likely not really knowing what to expect besides my short write-up in the event page on MoveWith. And, while this can be a bit intimidating for instructors because we, also, have no idea what to expect in terms of what levels people will be at, it’s also something that gives me so much drive, energy and passion. It puts my teaching abilities to the test, gets me out of my comfort zone and really reminds me why I love to teach. 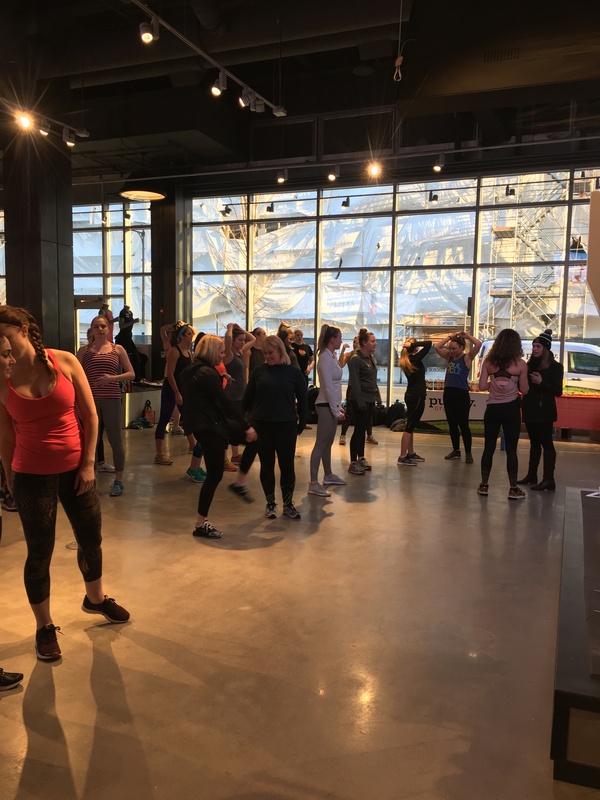 As for many of us fitness instructors, we teach the same classes week to week and similarly, the same base group of members come to our classes week after week, so it gets to be familiar. It gets to be comfortable. Which is great, but it also doesn’t challenge us the way new classes and new groups of class participants do. I always feel like I leave these types of classes with a new perspective on teaching, and a new pep in my step. 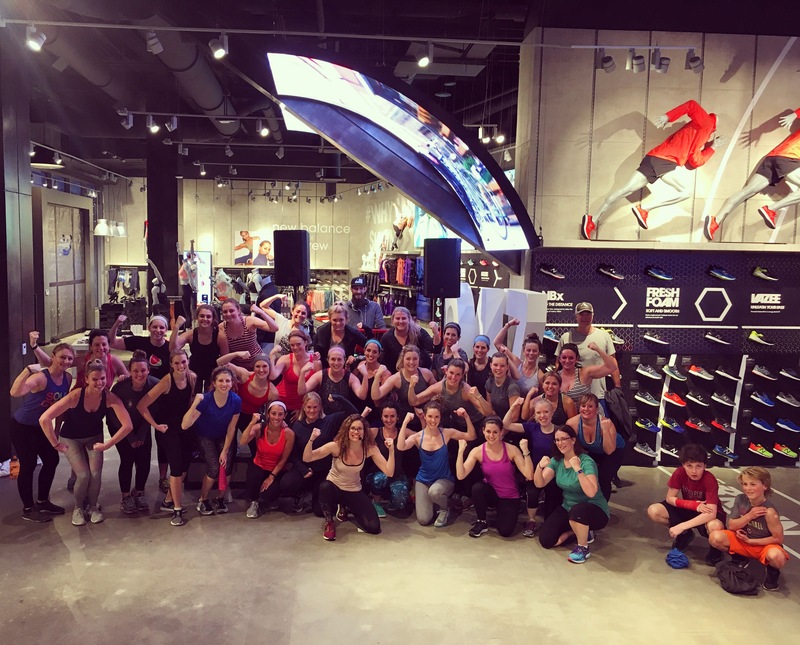 So, I thank MoveWith, New Balance and everyone who came out last week for giving me so much happiness from the 45 minutes we were sweating together. 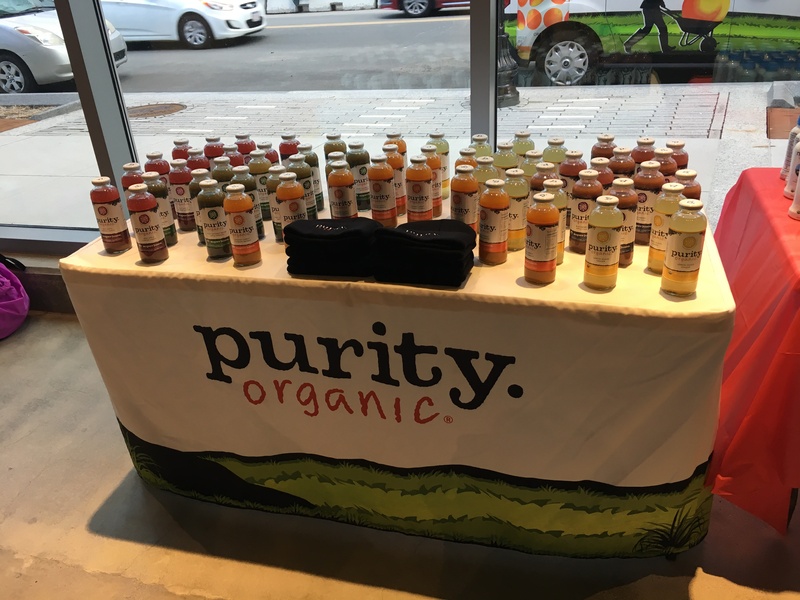 Also, a huge thank you to DJ Sprino, who is THE BEST DJ in Boston, especially for fitness events, Purity Organics, DRINKmaple and Larabar. I’m already working on my next event there, and rumor has it, we’ll take Burpees to Bubbly quite literally 😉 Save the date for May 10th- more information, including a signup page, will be blasted soon!